Toontastic workshop 26th Dec - 30th Dec, 2016. 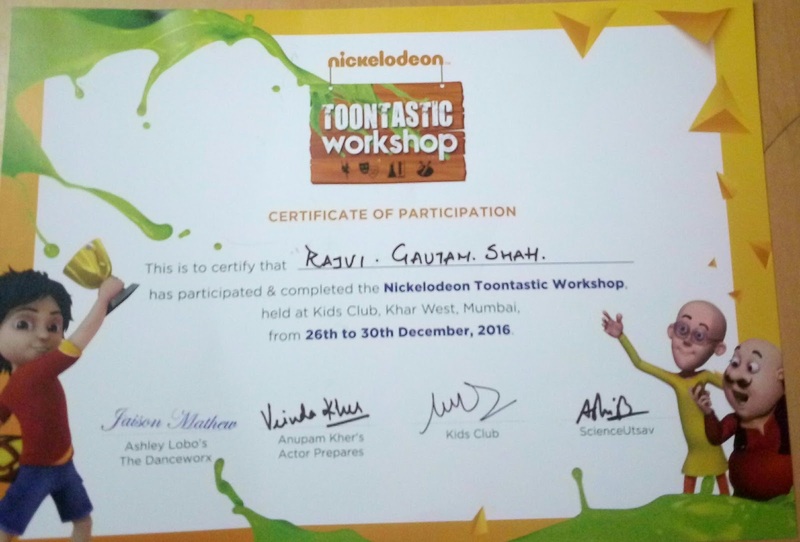 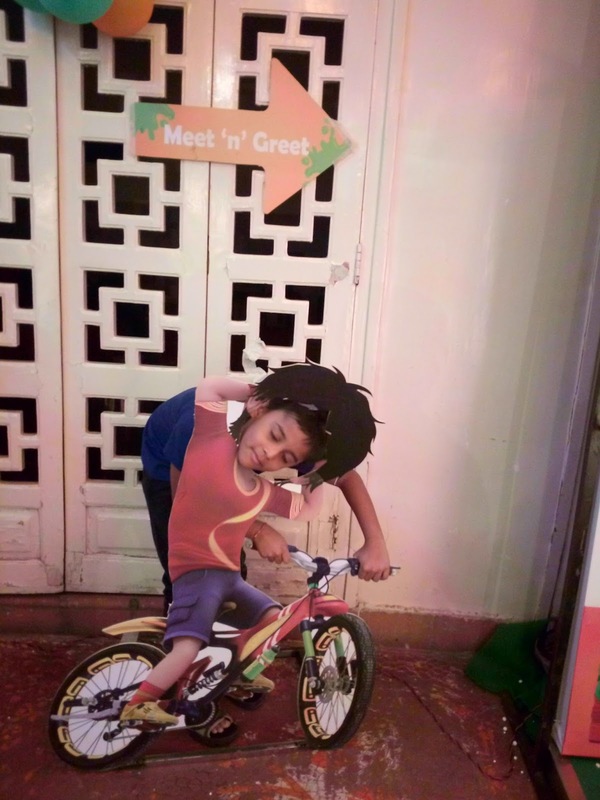 Nickelodeon Toontastic workshop was conducted by #mycity4kids/Mumbai. 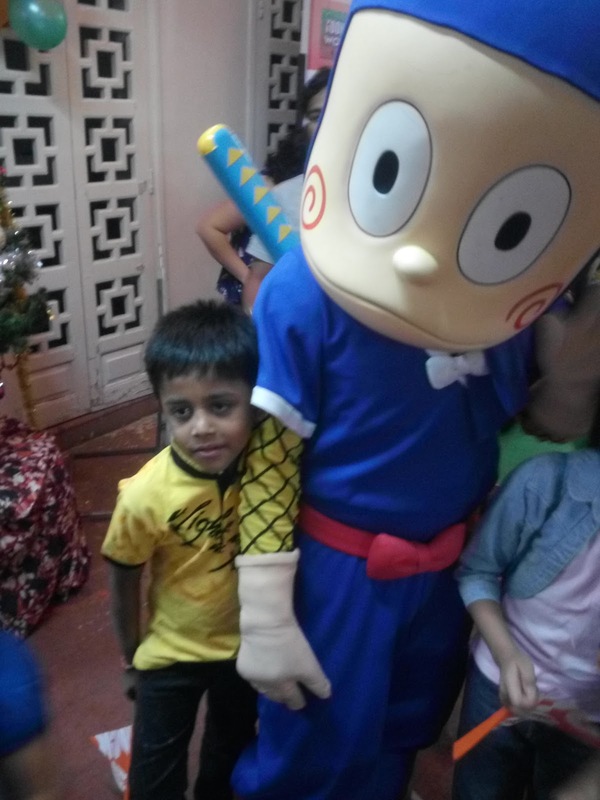 Children are attracted to the cartoon characters which were entertaining them - Shiva, Motu and patlu, Dora, SpongeBob SquarePants and ninja. This workshop was divided in 4 sessions, so that children could enjoy every bite of it. In these sessions children made table fan, periscope, catapults and launched a rocket. They understood the science behind dry ice, fog, chemistry, electricity, forensic study. 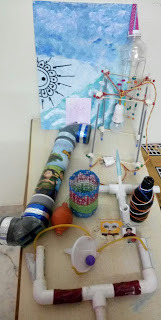 In these sessions children explored their imagination in recycling the material to make pen stand, flower vase, wind charm, lantern and texturing. 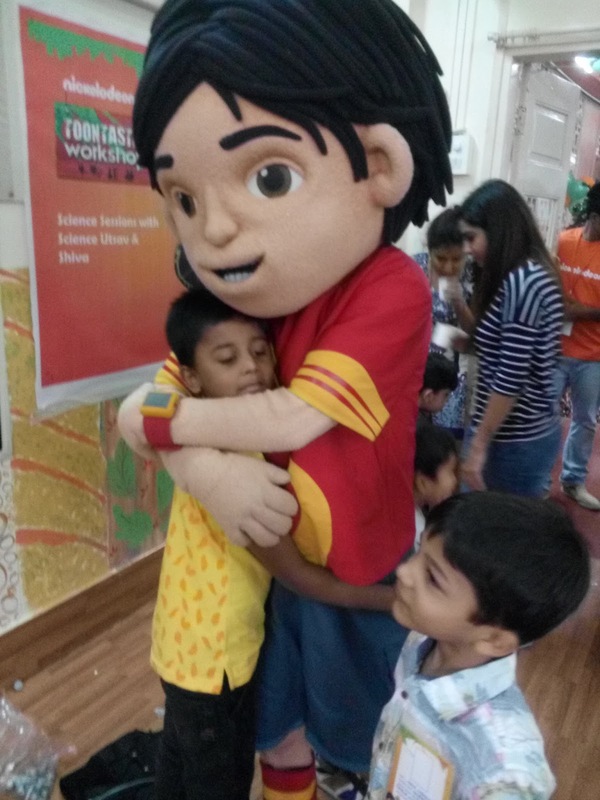 In these sessions children learnt theatre and audition techniques. Played theatre games. All these helped in the improvisation. 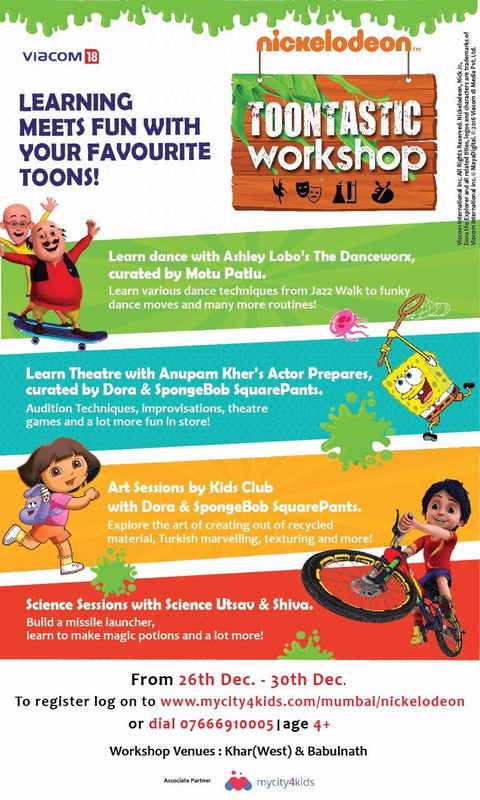 In these sessions children learnt various dance techniques, from Jazz walk to funky dance moves and many more routines. 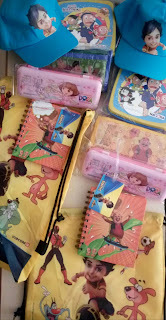 Finally the children received the merchandises which enhanced the entire workshop at the end. They loved the workshop. 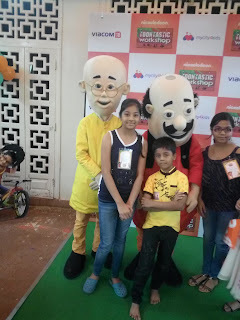 My kids enjoyed the science and art sessions a lot. 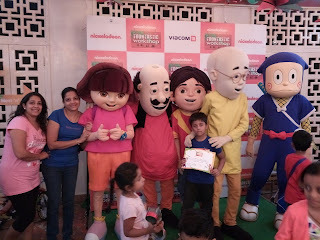 Children every appreciated by the certificates. 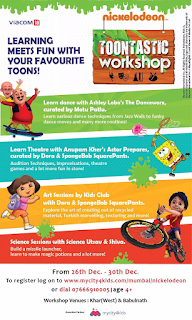 Overview that My children enjoyed at this workshop a lot.